We are emerging from the winter and certainly in Scotland there are lovely bright green buds on the trees around me ready to burst out into the world. I can’t wait to get outside into the garden to plant some real seeds and get my hands in the dirt. But before I leap outside, I need to take stock of the physical and emotional “stuff” that has piled up over the winter months. It’s time for a good old spiritual spring clean, not to mention a physical one! This is really obvious in my tiny flat and really wears down my mental well-being when I see piles of old magazines or books that haven’t been put back on the shelf. Not to mention the dust monsters that have been slowly accumulating. It feels like all of this physical stuff is weighing me down and I am sure that you have your own dusty monsters creating physical and emotional baggage. So, aside from mindful spring cleaning along to your favorite tunes, here are some practical steps to physically and spiritually remove your clutter to make sure you make the most of this vibrant spring energy to emerge and create a fresh start. Take a look at your living space with fresh eyes. 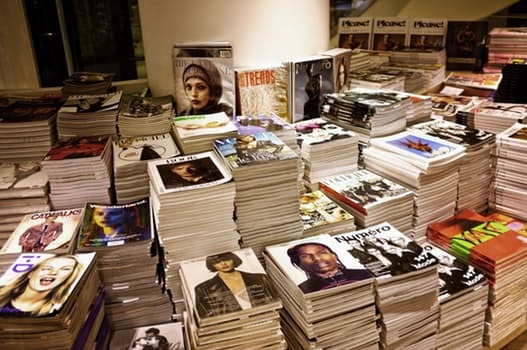 Set some time aside at the weekend and start tackling the piles of books, papers, magazines and flyers that have accumulated. What about the unopened boxes that lie in your attic or garage that are just sitting there? Take a look in these boxes and piles of things that accumulate dust. What do you actually need? Can you think of someone else who might need these things more than you do or be able to make good use from them? It’s really hard for some of us to throw things out or gift them to the charity store. It’s actually much easier to pass them onto someone. How many things have been passed onto you from family members despite the fact that you don’t really have use for them or even an attachment to them? 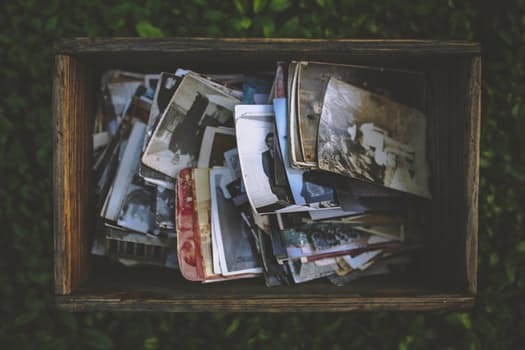 In my experience family members often give us items that they are not using, especially sentimental pieces. By doing this, they feel better, having given them to a family member rather than feeling guilty that they got rid of the item. However this passes on the responsibility to us and if these items do not serve us in anyway then they can end up as burdens. Check in with yourself and see how you feel about some of the items that you have in boxes or items which have been given to you. And, if you are thinking about passing some of the items on to others, check in again and see what your motives are. Even though clutter can feel justified and appear harmless, it takes up valuable space in our energy field. You will feel lighter as you create physical space by sorting out your stuff and moving the energy. Let go of anything that does not resonate with you anymore. If you don’t love it throw it out! Now, from a more spiritual aspect it’s also worth spending time to de-clutter the thoughts, patterns, beliefs and stories that you carry. What story or beliefs are you carrying about your life, talents, career, relationships? Identify anything that feels negative and that you would like to change. Consider if this belief or story is serving you and whether you are ready to release it. You need to be willing to let go of something that does not serve you in order to create a new story that does. Start imaging what your ideal belief or story could be. For example you may be carrying a story that your job is no longer as much fun as it used to be and you are not getting paid enough. If you are ready to give this story up for a new one, then start imagining what your ideal job situation would be like. Paint a vivid picture for your imagination, completed with sounds and feelings. “As I clean my spiritual space, I also clean my mind and emotions. I let go of anything that I do not love in my home and I release beliefs and behaviours that no longer serve me. I trust that my actions are for my highest good and the good of all beings. Of course, it’s not always easy to shrug off your mental and emotional clutter with a simple spring clean quick fix, sometimes you need to take a deeper action over a longer period of time. If you are struggling with past baggage which you are ready to let go of and release and need a helping hand. Then get in touch, that’s what I do, with the help of my spirit guides. Book a 15 minute chat with me here to discover how I can help.